Felice Dee is pleased to offer the finest lens options and is experienced with filling complex prescriptions, including progressives and prisms. The knowledgeable staff guides its clients to the right lens choice based on their prescription requirements and lifestyle needs. Felice Dee understands the unique needs of its clients and works with them to find the right optical solution. Clients have come to Felice Dee Eyewear in search of solutions to play sports, read sheet music, or study architectural plans. Whatever the task at hand, Felice Dee is committed to finding the best lens solution for you. Felice Dee carries premium quality brand name progressive lenses. Hoya progressives are made in Japan and offer clients a larger middle range which is ideal for heavy computer use. The unique Hoya design process results in an easier transition between near and far and eliminates the swimming sensations commonly associated with progressive lenses. Zeiss progressive lenses are made in Germany and are a more classic progressive lens. The lenses are easy to adapt to and offer smooth transitions from near to far. In addition, Felice Dee offers a wide range of sunglass and fashion tint options that are both stylish and functional. Polarized and photochromic lenses and anti-reflective coatings are also available. Anti-reflective coating, also called “AR” coating or anti-glare coating, eliminates most reflections from the surface of the lens, thereby allowing more light to pass through for better visual acuity. In addition, the coating improves the overall aesthetic by making the lens look nearly invisible. 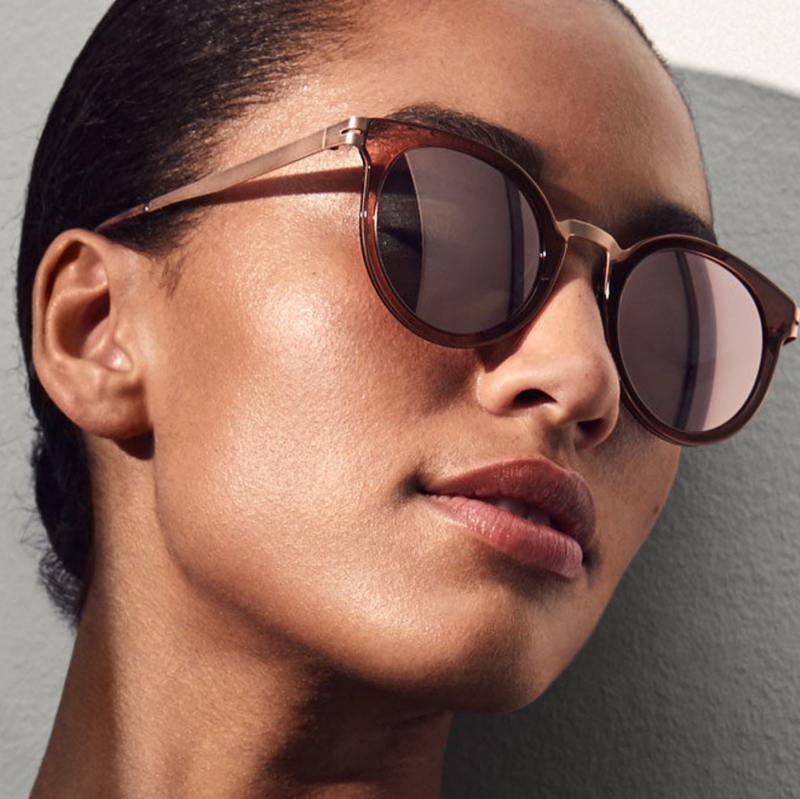 On sunglasses, an anti-reflective coating is often applied to the back of the lens to eliminate glare from sunlight reflecting into your eyes when the sun is behind you. Also called photochromic lenses, transitions darken in the sun, and lighten when indoors. Transition lenses offer convenience and continuous UV protection. They do not become as dark inside a car, because the UV filter in the windshield may block the action of the lens, and even in direct sunlight they may not become as dark as traditional sunglass lenses. Transition lenses can be a great option for everyday use, but traditional sunglasses are often best for certain outdoor activities, or long periods of time spent out in the sun. Blue light filters can be beneficial for those who spend a significant amount of time in front of digital devices (smartphones, computers, etc.). The filter is a coating that can be applied to the lens that helps to reduce eye strain and may help to mitigate against the negative effects of blue light on our eyes. Polarized lenses help to block the intense reflected light that causes glare and reduced visibility. This can be especially beneficial for boating and other water activities, certain sports, such as biking and golfing and driving. Lens with a smooth transition between parts with different focal lengths, that corrects for vision at all distances. Unlike a bifocal or trifocal, a progressive has no lines, and offers vision at near and far (reading) and everywhere in between. Brand name progressive lenses are laser-marked so they can be identified. Felice Dee offers progressive lenses from the top manufacturers in the world, which include Zeiss, Hoya, and Shamir.